Well known cartoonist signing his work Apsley but also produced line drawings of cars. 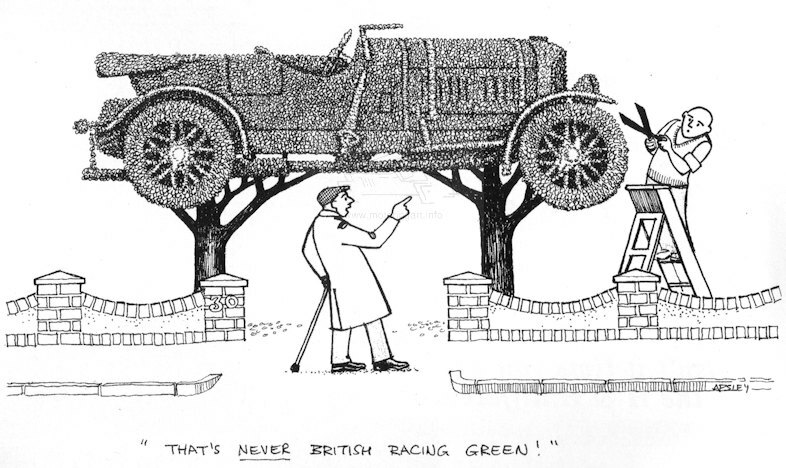 Cartoons published in many one marque club magazines and general motoring magazines. Best known for his art used by the Vintage Sports Car Club.